OROGOLD Reviews – Glendale Galleria – Facials have become a basic need among women and men trying to style a well-groomed look. The need to unwind while we are being indulged has become mandatory in a difficult world. At ORO GOLD, we believe in giving you a different, luxurious experience that brings you a youthful look and timeless experience. Unlike a messy DIY facial, a facial at a spa, or the usual cosmetics sales experience, we want to give you a one-on-one treatment and personal consultation. Tell us what is concerning you about your skin, and then lay back, relax and enjoy the next 40 minutes. Our stores are now offering VIP Facial Rooms where you can enjoy a great OROGOLD experience and one-on-one experience. All of our facials are provided by company representatives and exclusively use our products. After scheduling your appointment ahead of time, we welcome you to our beautiful store with a drink of your choice — champagne, water, wine or coffee. Afterwards, you are invited into our cozy VIP room where you can take your shoes off, lay in our facial beds, and tell us how we can address your skincare needs through your facial. After getting to know you better, we will clean your face to make sure you are ready for the most luxurious ingredients. Although every facial and product selection is different for each client’s needs, I like to start my facials with our Vitamin C Mask, which is great to nourish your skin, make it glow and relax you with the aroma of oranges. I leave it on the skin for five to seven minutes while the client enjoys the music of their choice. After our Vitamin C Mask, I have clients enjoy a nice warming treatment, which is like a sauna experience for your skin that you can only find with the OROGOLD Termica Mask. For the next 10 minutes, you will sit back and enjoy our mask, which deep-cleans your skin, and leave it looking flawless, while keeping your skin nice and warm. In addition, you will receive a facial massage using the Activation Serum . You can follow it up by getting pampered with our Cryogenic Collection, bringing you an anti-aging experience that includes mother-of-pearl, diamonds and of course gold. Or you can be pampered by our Nano Collection and enjoy the advancement of nanotechnology. There is also our Caviar treatment, which gives your skin a special treat. After the facial, we will give you a personalized consultation and an OROGOLD Lifestyle Magazine, which will offer you specials and promotions that you can redeem after your facial. If you become a Loyalty Customer, you will also be able to receive complementary facials that will introduce you to our latest products as they hit stores. About the author: Shahar Sean Dalal has worked for OROGOLD Cosmetics since 2007 as a sales representative at some of the world’s hottest tourist spots, eventually working his way up to become a trainer for the brand and a corporate representative. In December 2013, he became the manager and partner of the Glendale Galleria location of OROGOLD, which has individual and couples’ facials available. I can’t wait until I can get a facial done by your great staff in San Francisco. Yo just need more Spas in the Midwest. Everyday I use the wonderful Oro Gold products! Morning and night. Thanks for your great service. I love oro gold products…. At the moment I’m using the daily moisturiser and the night cream. Oh ya, and the body moisturiser and handcream. I’m an Artist with Sony BMG… And I’d love to be the an Ambassador for ORO Gold. Sounds like a dream come true. I would love to one day experience an Oro Gold Spa. I love using the orogold peel. It gives you the Best micropeel ever. I have tried other products before. When i tried orogold, i had not gone back to my previous products. You can see and feel your skin peeling. I would really love to try the orogold facial. That will be the best experience i will ever have. I like the products I’ve purchased from the Brandon, FL store. I use the cleanser, facial mask, and daily moisturizer. I had the pleasure of experiencing this treatment 6 weeks ago in Key West, Florida. My representative was Julia Daniliouk and she was terrific! I purchased the DMEA package as well as several other products. I love these products! I love, love, love, love OROGOLD! No more hundreds of other products!! This one is all I need!! Unfortunately for me, I live in Ohio which is so far away from CA. I would love to try any OroGold product that would be offered. I am a 36 year old wife and mother of 4. My needs come last in the family and I NEED a day of pampering even if it’s in my own home. Thanks so much for the opportunity! oh my – sounds amazing!! Would love to test your products on my skin! Wow…!!! ORO GOLD seems like a miracle to me. Everything about it is soo glitter and gold, that one cannot resist. Even the spas look so magical. I would Love to win the prize and experience the great results of Oro Gold for my skin. The Orogold anti age eye treatment has given me a new look, and so many people constantly ask what foundation I’m wearing on my face, my response no make-up just good skin care by Orogold recommended the best Aesthetician located at Sheraton Wakiki resort in Oahu, Hawaii . Thank you so much for everything . My skin feels better than it has in years. I receive over a dozen compliments from people all the time about how wonderful my skin looks, that I look younger. I never imagined how nice it would be to not wear facial makeup and the Orogold products has done this for me. 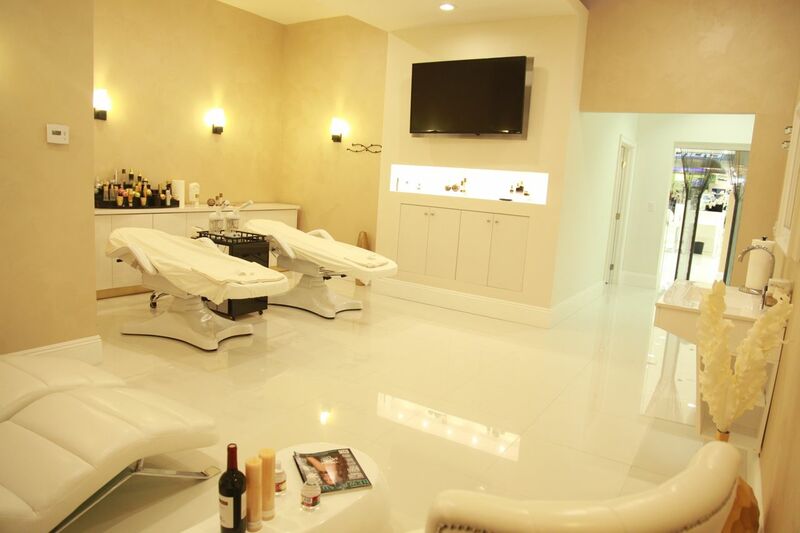 The VIP rooms look amazing and the facial process sounds truly fantastic. I hope to someday have the chance to experience the Oro Gold magic! All the best. I bought multiple products for both men and women. We both love them,and use them daily. Our skin looks so much better when using Oro gold products. We have occasionally strayed and tried other lines but always returned to Oro Gold for the best results! It is well worth the price and the sales professionals are always well informed and eager to help us find the right products for our skin. Since I got sick with cancer, I feel like my skin has aged terribly! I have heard wonderful things about your product, would love to try it! I have been using the products since October 2013 and am amazed at the results. I have removed about 10 years worth of aging and will be using Oro Gold for the rest of my life! i want to try ur products and services, its very awesome ..
im very concious 2 my skin, if i could experience it,i think their should be a possibility that i have a confident 2 myself to stand up among the rest..
goodluck 2 ur company great job.. I love Orogold products. I have been using eye cream for dark circles, day moisturizer and night moisterizer. I also use facial foam and thr gold peeling. All of those products not only feels good, but their effects are also amazing. Terrific video. The spa looks amazing. I would love to try the products and will go out of my way if close to a studio show casng the line. The online shopping option is so appealing to us in Canada. It all started a few years ago with sample Moisturizing Day Creams handed to me by friendly OROGOLD store staff as I passed by them at various malls. My skin loved the cream and wanted more. My collection has started with the 24K Multi-Vitamin Deep Peeling, Hyacinth Exquisite Manicure Set, 24K Golden Body Butter and Body Scrub and Essence Soaps. I look forward to OROGOLD every day and to each opportunity to experience it! Thank you! A very friendly and professional associate was heaven sent to my mom and I. We were doing our Christmas shopping when Mary Ann invited us to see and try Orogold products. Saw almost immediate results and bought a whole set for myself. My mom was also very pleased with your products and got a whole set as well. We can’t wait for our facials next week . wow this facial sounds like paradise and I WANT TO GET ONE FORM OROGOLD.Sounds like this facial should be the gold standard for all places that give facials. Most places just wash, scrub, and put a mask on for facials, but not this does not sound like the case with an orogold facial. I just love the night cream I received from my brother as a gift. It really works and I can barely see my smile lines. i wish to win the contest so I could try out the other amazing products. My wife has been using your products and I have tried hers and have found they improvement the look of my skin. I figured I didn’t want her to keep looking younger, while I kept aging. Love the deep peeling cleanser !! I am giving away all of the different products away to family who can’t even afford regular cleansers and moisturizers. Believe me, I have tried everything out there for cleansing, moisturizers, eye cremes., etc…. I have found the best product for my face! I want to experience an orogold products in my skin, but i can’t afford coz its expensive here…but when my sister bought some of it, i’ve tested the nail polish and it’s so nice, it really makes your nails looks beautiful…..
How exciting!! It’s here in Glendale, Calif. I can’t wait to visit the store location and try the facial products. I’m looking forward to it. Your cleansers are excellent products. I was amazed at how much better my skin looks after a presentation by Lin in Santa Barbara this afternoon! I currently use Dior products. Would love to try orogold and a facial would b amazing. I especially love the facial cleaning and peeling foam cleanser. It makes my face as smooth as a new-born! I love this product I’ve had skin problems all my life throught Junior High, highschool and into my adult life. i have always had a acne problem and dark spots on my face it’s always made me feel uncomfortable in public, A friend of mine introduced me to this product and was skepitcle to use it but i did and im soooo glad i did. I LOVE THIS PRODUCT!! Using the creams and cleaners has given me the confidence i need to be in public.. The sales persons are soo helpful and truely have your best intrest in mind!!! THANK YOU ORO GOLD!!!!! Recently,while out xmas shopping,I encountered *Haim* a representative of Orogold Products.Upon entering the store,well designed I might add..he began explaining the benefits of his products versus my products I had been using…20 + yrs.After receiving an *mini manicure*,him coaching me through the skin care products.I purchased the 24K Deep skin peel.A bit reluctant and questioning the excellence of Orogold. I not only have found immediate fabulous results for myself,but I now have introduced several friends to it and my mom who never had an facial.her skin now looks 20 yrs younger! So…do I recommend anyone reading this comment to indulge in such a luxury of fantastic skin care products I DARE you;I am now a life long customer.And very much looking forward to the day I can afford the caviar system they also offer. I first tried Orogold while on vacation in Hawaii with my family. We were staying at the Outrigger Reef hotel containing an Orogold cosmetic shop inside. Here is where I fell in love with the products, I have been dealing with skin issues my whole life and feel as though I deserve the opportunity to have beautiful skin. I cant afford the products at this time but have my heart set on purchasing them sometime in the future. I have five boys so a little something for me would be awesome! I was introdiuced to this product just yesterday in Frisco, TX and loved the way the puffiness under my eyes was reducedd within minutes. Facial scheduled for tomorrow. Can’t wait to see more products! I am a customer of La Prarie and although I have been satisfied, my expectations with Orogold have surpassed. I don’t think I will be returning to La Prarie. I can’t wait to try the other products. I never could use the caviar products from La Prarie I am sensitive and have many allergies, the orogold caviar products is superb in quality and I had absolutely no allergic reaction orogold is what all women need. Healthy rejuvenation! Just left the store in Glendale, AZ. I was given a mini eye treatment. I love the feel and the look. I was amazed. I purchased several items but I would love to be able to purchase more products for my daughters and myself. Shy was very helpful and I can’t wait to view the store again after the holidays. I would love to win $500 in products, the only problem I would have it deciding what to buy. Thanks for the chance to win. Happy Holidays! I can’t wait until I can get a facial done in San Francisco! I love using your wonderful Oro Gold products morning & night. Thanks for being wonderful! This facial sounds like heaven! An orogold store opened up in my local mall a while ago, but I’ve only just now was able to try a sample of your 24k Moisturizing Day cream. Loved it! After my previous moisturizer ran out I have yet to get a new one, so thank you for this opportunity! This would be a great christmas present!!! I was at Cerritos Mall 3 weeks ago when a sales person from OROGOLD caught my attention. The reason why i decided to stop into the store was because my skin was getting irritated from the facial creams i was using.. :-/– The Sales rep was OUTSTANDING and knew the product very well, she even explained the indrediants in the product! I was amazed after the sales rep (jackie) showed me a picture of a transformation from an individual. Well to make a long story short, i bought the 24k deep peeling along with the 24k deep day moisturizer cream. Everyday I brag how the OROGOLD products has changed my facial skin, I LOVE it! My skin definitely looks rejuvenated, radiant and it feels clean and it has a glow to it. I convinced one of my coworkers to try it too, and she as well fell inlove. OROGOLD Is my new FAV product!! I’ve had facials from Mali in he Plaza Bonita store but the Galleria facial room looks so spa like, spacious and serene. I love the chance to lay back and have the facial, , relax out of the hectic mall environment and be pampered while getting my questions about the products answered. ORO GOLD is by far the best product line I have used! I had been looking for something to help me with my pores and blackheads. I went into ORO GOLD and they provided me with the completed kit I needed plus a FREE facial for buying their products! I absolutely love ORO GOLD. Definitely going to keep getting their products because they really work and they are SO worth it! This would be a perfect christmas gift to myself. I have suffered from acne all my adolescence and now after using the 24k deep peeling the scars are almost gone! I have seen Orogold on television, but never had the opportunity to try it. I would love to be introduced to such a wonderful product for the first time! The first time I tried Oro Gold peeling skin was in the store (Stone Town) when the sales girl at there showed me how to use in on my skin (on the back of my hand). I’m so surprised by how many dead skin that I had, but I didn’t even ask how much the price because I know it will be too expensive for me. When I arrived at home I tried to google it to know the price, and as I thought, it’s indeed expensive. Well, maybe if I have more money to spend in the future, I want to buy it. I really like this products, its magic and have done well on my black face. I wish to have them close here in Namibia. I have only recenrly discovered orogold !! Cant believe I have only just been introduced to these products….thank you for my free tester that had me hooked straight away. Orogold cosmetics changed my life. I first discovered on a trip to Hawaii and once I had the facial and saw the difference I was in heaven. The moisturizing day time cream and night are my favorite. I love my clean glow. I will be using forever. Thank you for caring about our skin. I was introduced to Orogold during vacation in Phoenix,AZ. I purchased a few products and noticed results within a week that I didn’t notice from my present celebrity-endorsed skin care that I have been using for 2 years! Plan to continue with Orogold! I would love to win the 500 dollars in your products. As a college student, cosmetic things like this fall to the wayside compared to necessities like food and rent. Love the product. Saw results the same week! I would love to win because I’m turning 21 in about 2 month. I’m not really sure what products I should be using. My nose is very oily so not sure what to use. I would love to have flawless skin. Just like Demi Lovato. She has the most flawless beautiful skin. I have ever seen. So can you please help me. I would be so grateful and honored if I was to win this. Orogold is a great product! First discovered it in Las Vegas. Would love an Orogold for a day spa experience! This is a really great product!